For over 100 years electrolysis has been and is still recognized as the only method of permanent hair removal. Electrolysis is the perfect compliment for any laser hair removal facility as it can permanently remove hairs that laser cannot. It is a very popular and necessary service in the beauty field. Courses range from 120-600 hours depending on the state in which you wish to practice. Schedules are very flexible and can be completed on a full or part-time basis. 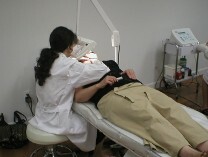 All three modalities, Thermolysis, Galvanic, and the Blend are taught. Students perform electrolysis treatments for the public at reduced rates. 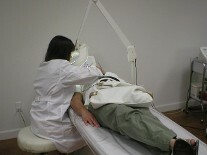 For more information on our Electrolysis programs, please visit www.berkowitsschool.com. Berkowits School™ © 2018. All Right Reserved.